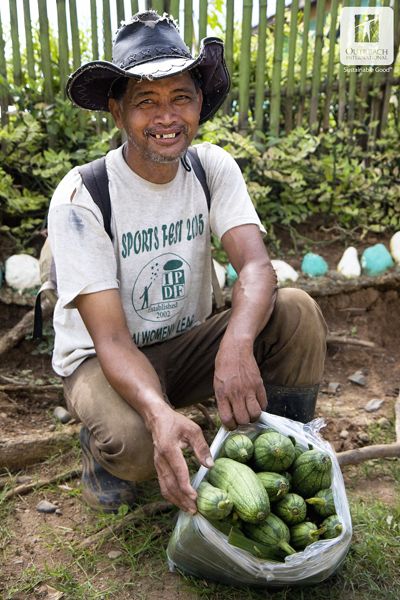 Here are a few of the images I took on behalf of Outreach International in the Philippines back in November 2009. The term ‘Sustainable Good’ was very evident throughout my visit amongst the communities and I strongly believe that Outreach International’s approach is quite unique amongst the many aid agencies working throughout the world. Their approach works from the grass-roots up, nurturing and enabling communities to address their own issues of poverty which then provides them with a solid foundation to continue improving their lives without continual external intervention. All I can say is that lives are definitely being transformed for the better. As part of Outreach International’s cattle dispersal project Ando is able to sell milk, fertiliser and eventually calves from 99 (great name!). 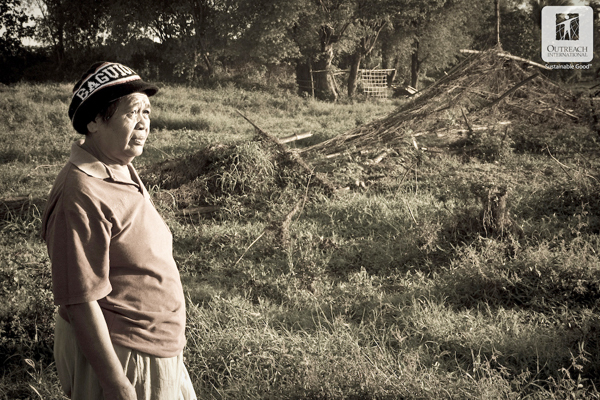 General poverty and recent flooding makes life hard for the community members of Sapang Bato. 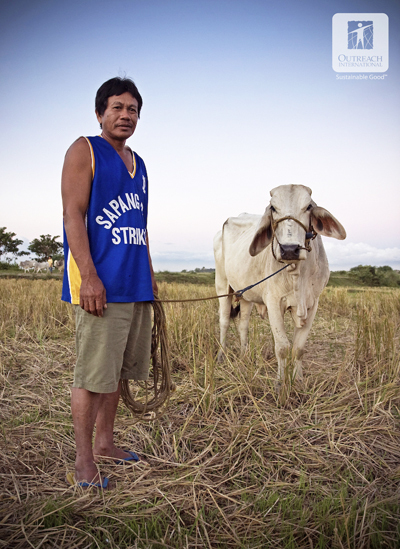 I’ve seen first hand how lives have been changed by the cattle dispersal project . 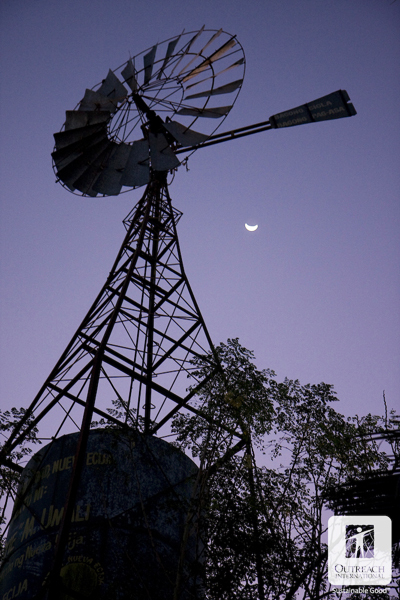 This shot was taken at 5am one morning, but even at that time the farmers were out working. 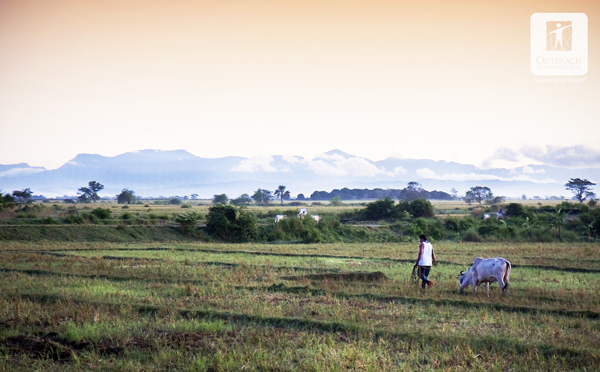 During rice-planting seasons, most of the fieldwork is done by hand, which isn’t effective and depletes potential harvest profits. 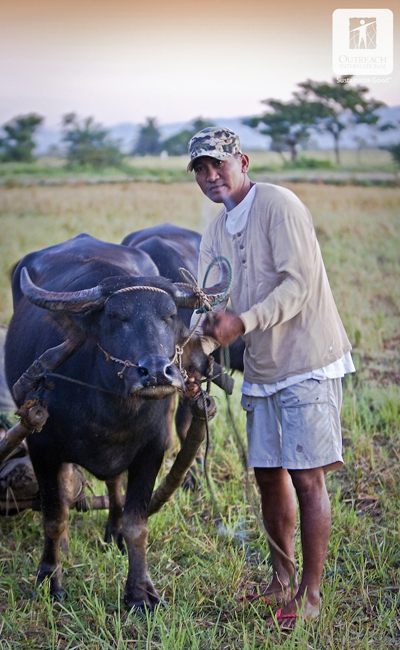 However, Carabaos (Water Buffalo) really help farmers harvest the rice quicker. Carabaos also provide milk and fertiliser, so they’re all round winners. 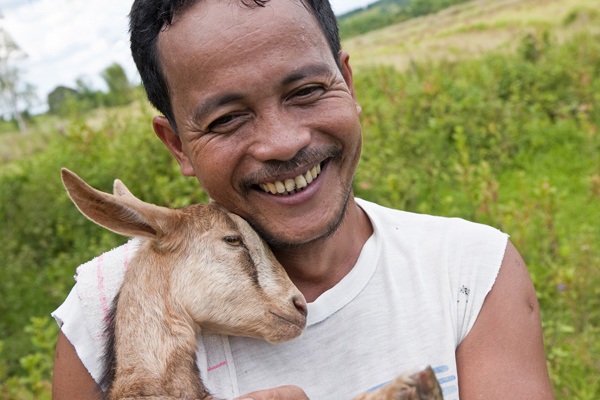 Just like cows and carabaos, goats are a great source of milk and fertiliser. This goat was extremely loving. I visited a few schools in the villages and it was great to see the impact these were having on the children. 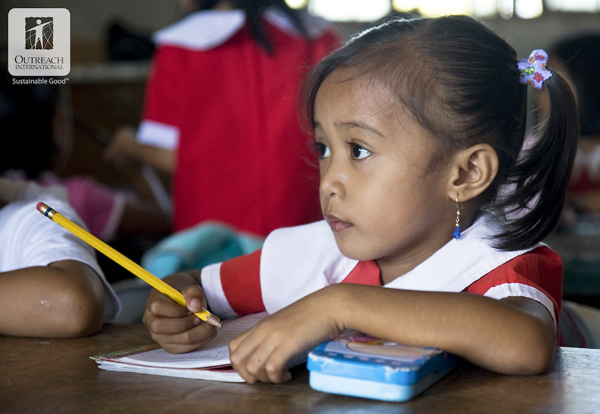 Outreach International has helped provide basic literacy classes for many children and two students have recently graduated high school giving access to college education – brilliant! 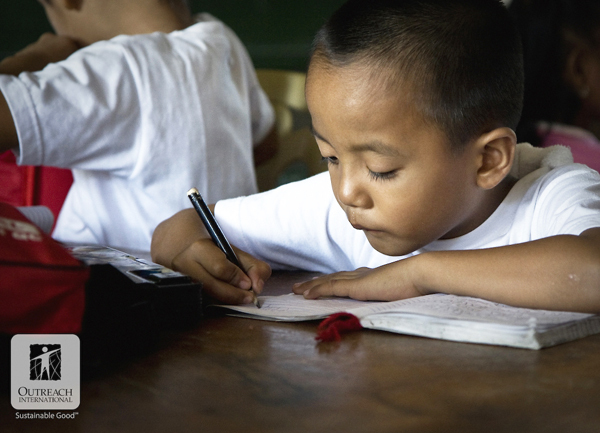 Many children have now been given birth certificates which enables them to have an education. This day center has been built and, to date, 69 children have attended. 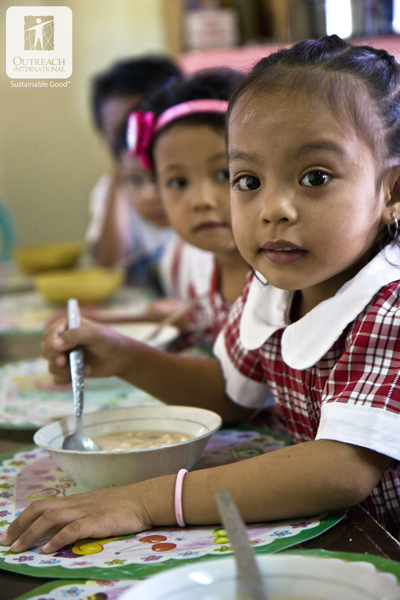 They are also providing these children with a much needed rice-porridge meal to ensure they are receiving as much nutrition as possible. Early one morning we visited some of the local farmland which had been devastated by the recent typhoons and flooding. This photo may look quite picturesque but the whole of this area was completely flooded, destroying virtually all the crops. This isn’t just an inconvenience, this is a disaster to the farmer. This shot only starts to convey the destruction the flooding had on much of the farmland crops. This particular field belonged to Denciang. Her story was heart breaking. 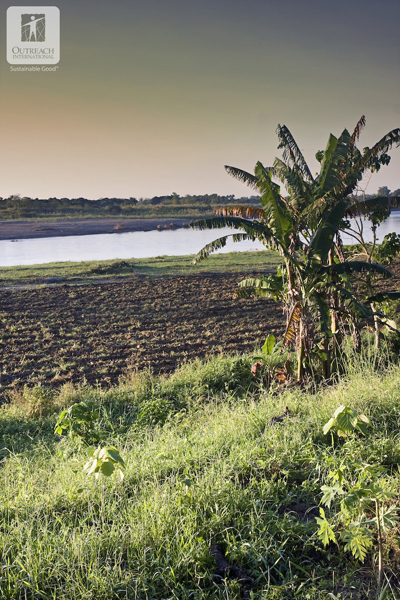 On average, it takes 3 years for farmland to recover after flooding has taken place, allowing crops to be planted again. 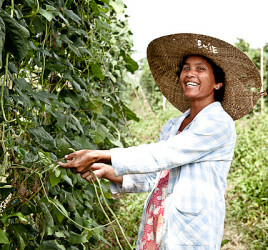 Denciang explained how she had only just managed to plant her crops this season after the last flooding had impacted the land……but these were destroyed by the typhoons and flooding from a few weeks ago. Fortunately, thanks to Outreach International, she was able to obtain a micro loan to enable her to set up a simple village store business which is helping get her through this difficult time. Vegetables which were destroyed in the flooding. As we walked through the havoc-ridden fields I came across this little scene. 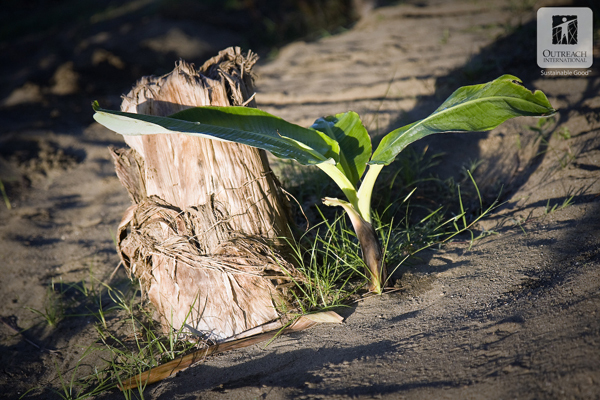 The banana tree had been totally destroyed and yet a new shoot had already started to grow, For me, this scene summed up the resillience which I witnessed in this community. Even in situations of abject poverty, new hope arises now the community are able to work together to address some of their problems. 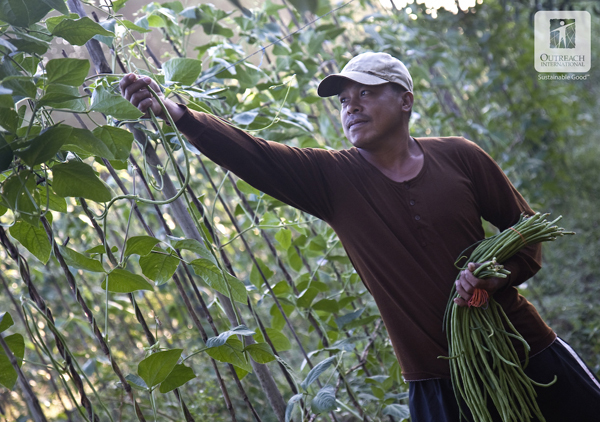 Fortunately for some farmers, a small amount of vegetables survived the typhoons. 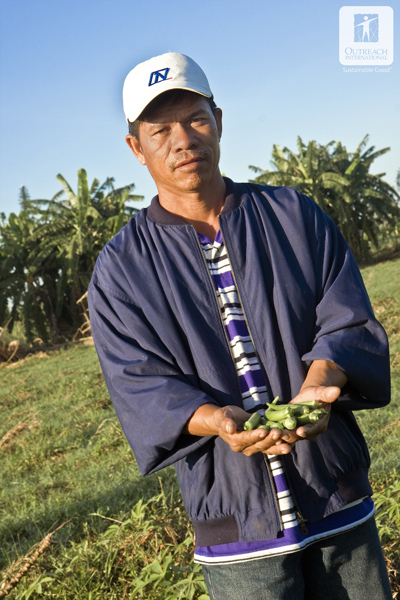 Unfortunately, over 80% of the land which these farmers work on is not owned by themselves. Ranchers and rich people who do not reside in the villages have total ownership and control of the fields which are worked on. 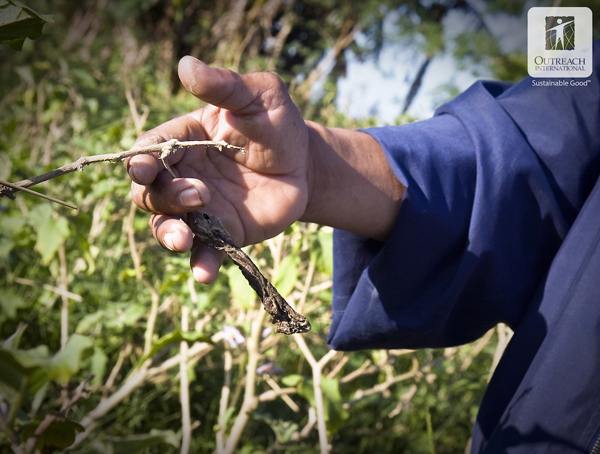 The average daily wage for a farm labourer is £1.60, but they only get paid this for 30 days per harvest. They are also allowed 10% of the crops which are harvested. In total, the average annual income for a farm worker is around £200. Even though the cost of living in the Philippines is cheaper than here in the UK, I’m sure you can imagine how difficult it is to survive on this small amount. Village life is definitely hard, but it was so good to see the way community members were coming together through the guidance of Outreach International to resolve many of their hardships. The pride they felt was evident as much of their accomplishments were their own and they had a confidence in their own abilities to resolve even more issues in the future – sustainable good! 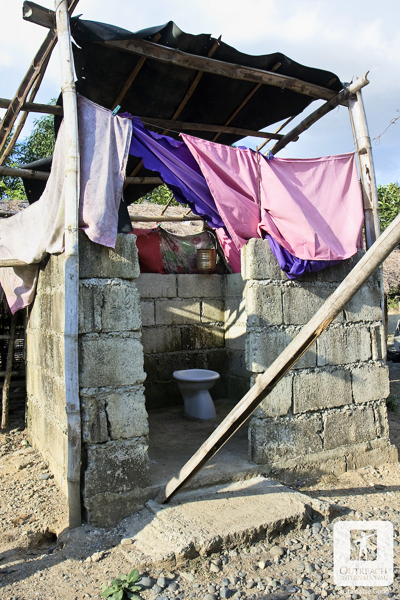 Okay, so this isn’t the most exciting of photos, but for these communities a latrine can improve a families life no-end. Sanitation in the villages wasn’t great by any stretch of the imagination, so these simple toilets really do improve health and hygiene. 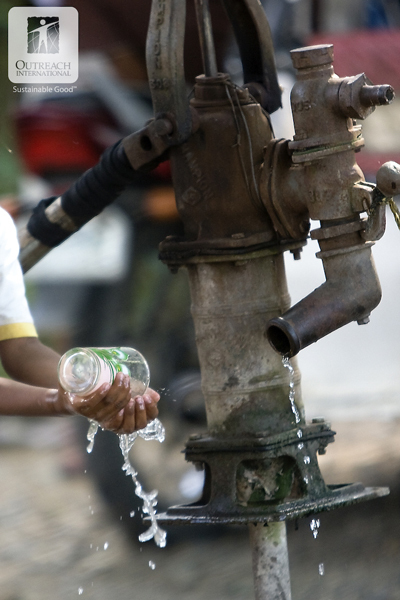 According to the World Health Organisation, 80% of the worlds sickness is due to unsafe water and sanitation. They aren’t expensive for us to buy but they make a huge difference to these community members. Three deep wells have been built benefitting 92 families in General Natividad. Something we take for granted in this country is clean running water. Twenty-four new water pumps have been constructed which has reduced water-borne disease and has lightened the burden of carrying water by children and women in the village. Another community I visited was that of General Tinio, a place where Outreach International has been working for a number of years. The difference was startling! Poverty hasn’t been eradicated but there is a significant improvement. I didn’t hear so much about OI’s involvement simply because the residents are now managing to do most developments themselves. Outreach International had done the groundwork in this place but the community now has the confidence and the ability to resolve issues on their own. 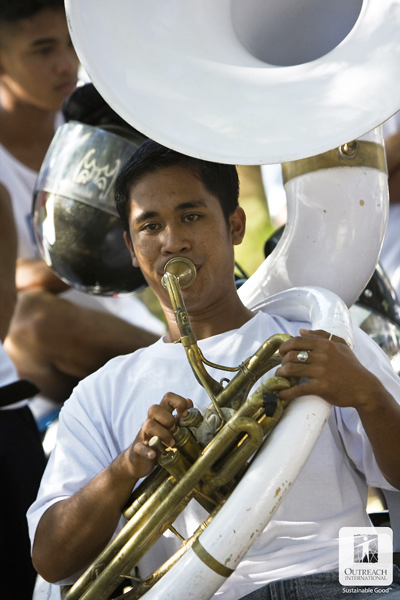 One of the unique aspects of this particular community was the use of brass bands to improve the life and social status of its members. I have to admit it sounded a little weird listening to Christmas Carols played by one of the bands but it certainly put a smile on everyone’s faces. 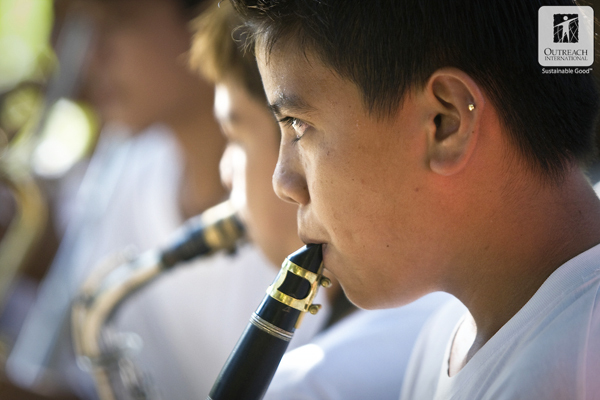 If my memory serves me correctly, I believe they said there were now 13 bands in General Tinio and that some of them even competed at a national level. Illegal logging was the major source of income for many community members of General Tinio. 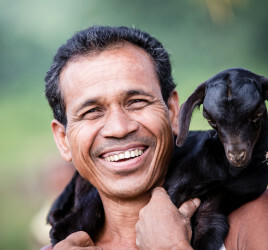 Since Outreach International’s work in the area, many of the residents have received land and are finding new sources of income. They are also planting new forests and fruit trees to replenish the areas where vegetation had previously been removed. 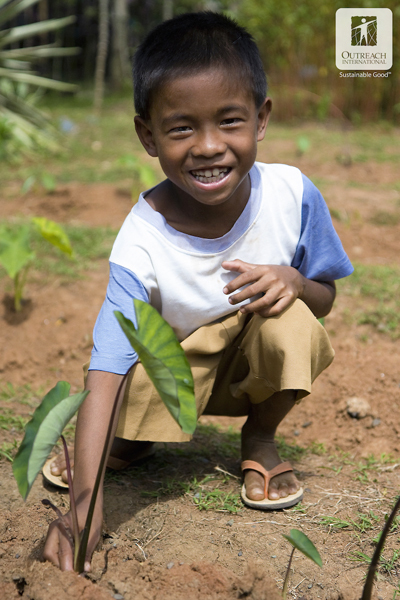 Even in the local school the children are planting their own fruit trees and gardens. I don’t think I’ve ever consumed as much boiled rice as I did during my time in the Philippines. I’m going to write a book entitled ‘1001 Boiled Rice Recipes’! 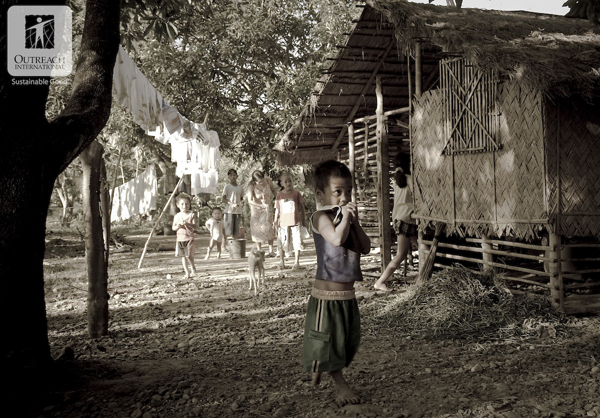 Joking aside, rice is not just a staple diet for these communities, their lives revolve around it. Life is hard at the best of times but if you have to suffer floods which destroy your rice harvest, survival becomes extremely difficult. 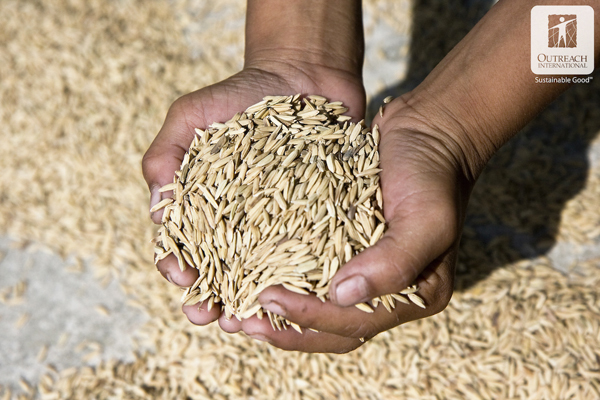 Fortunately, Outreach International’s assistance in developing a rice loan project has helped over 100 families during these challenging times. 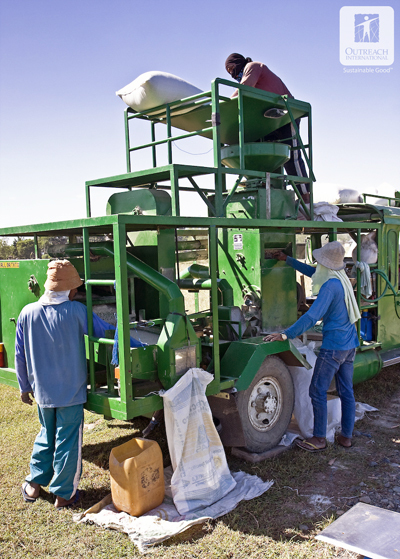 These mobile rice mills allow for quicker production of rice which in turn improves the flow of income to farmers. 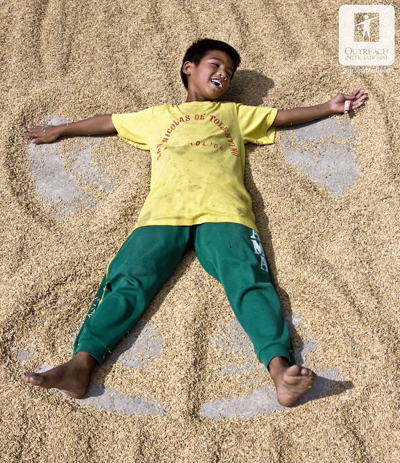 You don’t see snow angels in the Philippines but we started a trend in creating ‘rice angels’! 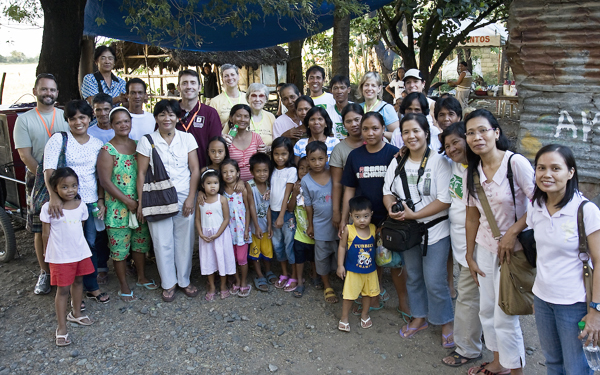 I wanted to end the blog entry with this photo of one of the communities in General Natividad and do so purely to mention the Outreach International staff within the picture. I really can’t offer enough praise to these people who work tirelessly within these communities. If you want to find some true heroes within this world then look no further than the Outreach Philippines human development workers. Each and every community I visited showed a profound love and appreciation for these individuals and the work they do. I unashamedley encourage you to head over to the Outreach International website to make a donation, the work they do around the world is life-changing and just a small amount can make a big difference. Thanks for taking the time to look at the photos.